The Mizuno name may not be the most recognizable in golf, but the worldwide company, with a USA division based out of Georgia, has been a leader in the sporting goods market. Making golf, baseball, volleyball, softball, running and track and field products, the company counts among its users such top names as former baseball star Chipper Jones, Victor Martinez, the US Women’s National Volleyball team and golfers Charles Howell III and Jonathan Byrd. 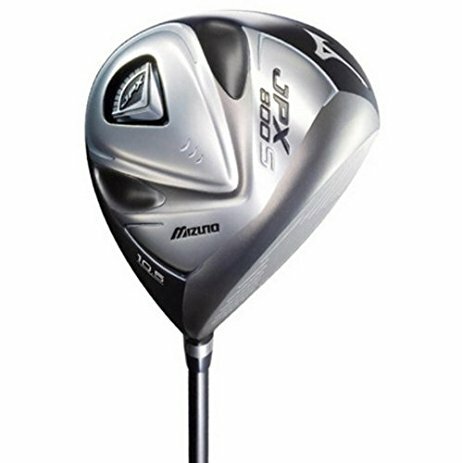 One of the company’s noted products, the Mizuno JPX 800 Driver, has an oversized 460cc clubhead. The head has a strategic internal weighting system for a greater vertical and horizontal moment of inertia. The head itself is made with a six-piece plasma welded design for added strength and stability upon address. The club is carefully weighted with a 10g back weight and 5g heel weight to further contributed to the moment of inertia and low center of gravity. Mizuno’s Ultimate Dynamic Stability technology carefully constructs the club’s face for explosive distance. The face is made of a titanium “Hot Metal” face, and its crown is ultra-thin. Even shots that hit outside of the sweet spot have more distance and power than afforded by other drivers. The driver has a Mizuno DS5 shaft and a Golf Price M-21 60 Round grip. Revealed in the March 2011 issue of Golf Magazine, the magazine’s testers found the Mizuno JPX 800 Driver to be a “traditional looking club with a pleasing, quality feel.” Reviews found that the driver had plenty of forgiveness and helped control both the spin and the trajectory of the ball upon mis-hits. The driver was rated average to above-average in terms of distance gained.